There are days when I want to avoid looking at the mirror. I don't know if you feel the same way too on occasion. But don't you just hate it when World War 3 (aka THE ZIT WARS) erupts on your face? Gah. I hate it and get frustrated when it does. I have this very bad bad urge to pop them all off (which sometimes I do and thats realllllllllly BAD BAD don't do that. It can cause scars!) or wish that I could photoshop my face in real life -- a quick way to say goodbye to the pimples on my face. I'm way over my teen stage yet I still have acne which is quite frustrating. I want the zit wars to end! 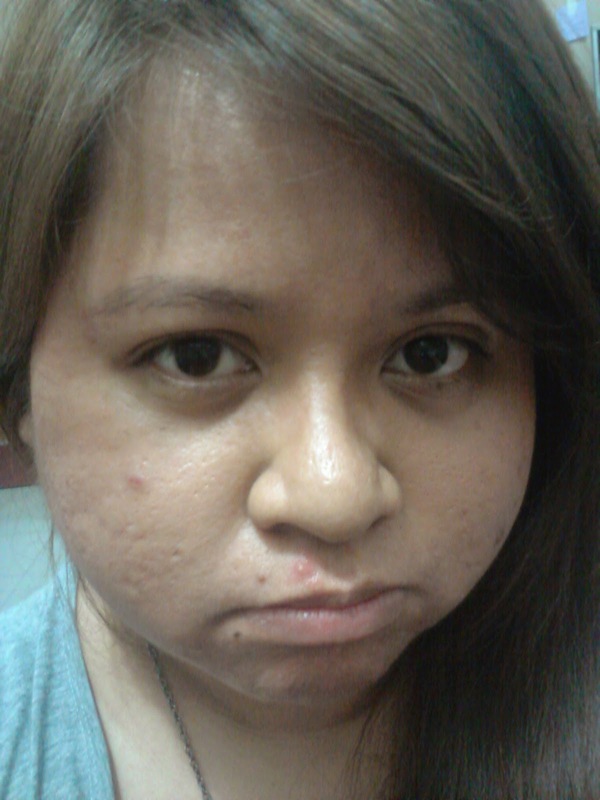 I'm not thrilled showing my face with all these acne or pimples. But whose perfect anyway? 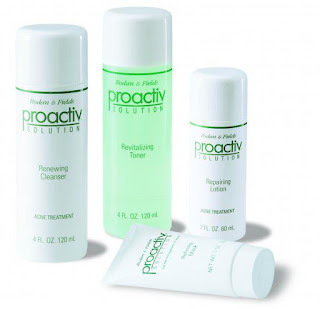 So when I heard of Proactiv from a friend, it really got me interested. She swears that Proactiv did wonders for her! It cleared her skin from acne. And I really saw the acne has indeed lessened in her face. Her face is now bright and clear. She super recommended it to me. This was several years ago before Proactiv became readily available here! So when I was given a chance to try out Proactiv, I was thrilled. 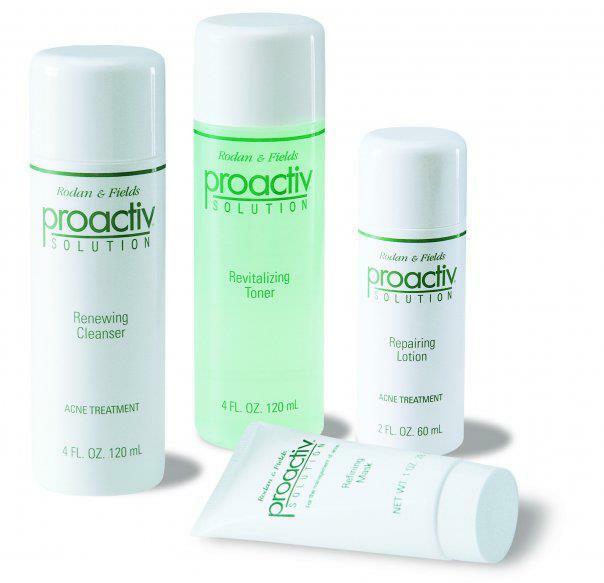 So I bet you are wondering as well, what makes Proactiv the perfect solution to acne problems? Knowledge is power my dears. So I wanna share what I've learned about acne. Proactive Solution to Acne Problems! Did you know that an acne blemish begins approximately 2-3 weeks before it appears on your skin's surface? When I found that out I nearly fell off my chair. And here I thought that its coz puyat ako kagabi! (slept real late last night). :P Apparently, pimples don't just appear overnight. A pimple is the final stage of a much longer process. Wahaaaat! It starts in your sebaceous hair follicles – the tiny holes you know as pores. Deep within each follicle, your sebaceous glands are working to produce sebum, the oil that keeps your skin moist and pliable. As your skin renews itself, the old cells die, mix with your skin's natural oils, and are sloughed off. Under normal circumstances, these cells are shed gradually, making room for fresh new skin. Dead skin cells may block the pores, resulting to over-accumulation of oil underneath. (Which really explains a lot on what's happening on my face. Wah!) Bacteria that live on the skin naturally begin to grow and multiply in this site, triggering an inflammatory response causing a red, angry pore that we see as pimple already at the tail-end of the acne formation process. So my dear concerned coffeeholics, this clearly explains the reason for the zit wars. I've got an oily face type. So now what? Its a good thing that Proactiv gives us a solution for these acne problems! Drs. Rodan and Fields believed that in their Proactiv 3-Step System -- acne management is achievable. Makes sense eh? Personally, I've tried all sorts of acne treatments throughout the years because of this oily face of mine. So why is Proactiv superior to other treatment methods? Well I've personally tried a lot of treatments and yes, sadly, most of these treatments are reactive. Usually it just treats the tail end of the acne formation process. These treatments often leave scars or dark marks, and do nothing to prevent future breakouts. Overnight Spot Treatment. I've tried overnight spot treatments. I mean, yeah it kinda worked. It did dry up the acne as fast as it could (time duration is not consistent though). But still it will leave a mark on my face coz the content of the product can cause hyper pigmentation (yep those black marks on my face aren't actually zits but leftover marks from previous acne activity.. wahhh!). You see those products most likely contain high concentration benzoyl peroxide at 5% or 10% which kill the acne bacteria, BUT results to redness or irritation. But with Proactiv Solution, it only contains 2.5% benzoyl peroxide, a safe and effective concentration which makes it OK for daily use and may be applied to the whole face. With Proactiv’s Advanced Microcrystal technology, eradicating bacteria is faster and gentler than common spot treatments. Spot The Dark Marks. >> In my frustration, I usually edit them out before I post my photos here. Topical Antibiotics. Doctors need to supervise people using antibiotics because the long term use of antibiotics in general may cause bacterial resistance – making the person “immune” to the benefits of the active ingredient. To Proactiv users, you don't have to worry about that at all! Proactiv Solution will never have bacterial resistance because it does not contain an antibiotic, but rather an anti-microbial agent. It is safe for long term use for the treatment and prevention of acne. Oral Drugs. When acne is severe, dermatologists sometimes prescribe oral drugs like isotretinoin or hormonal pills. I've tried hormonal pills before. According to my ob-gyn, part of the reason for my acne is because of my hormones. 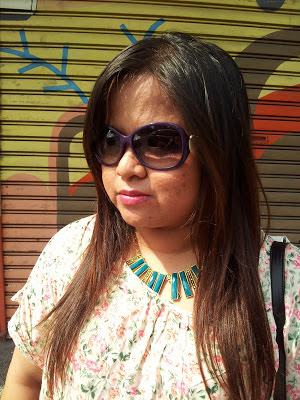 So there was a time I was prescribed with hormonal pills which yes it indeed improved my skin condition. Downside? THE SIDE EFFECTS. The doctor warned me that I can only drink the pills for several months only or risk being barren. So of course I stopped using it! So yeah, there are indeed studies that support that these methods are extremely effective for severe cases, but because of the nature of these drugs there are side effects that make it questionable if the benefits truly outweigh the cost. For example, there were reports in 2010 linking suicidal tendencies and psychotic behaviors among acne patients on isotretinoin. Hormonal pills, which are mainly indicated as a contraceptive sometimes causes water retention, weight gain, mood swings, and in the long run, even breast cancer. So it is a relief to know that PROACTIV SOLUTION DOES NOT HAVE THESE SIDE EFFECTS! Derm Clinic Injections. The Philippine Dermatological Society is campaigning for awareness among Filipinos to patronize only the services of highly qualified doctors, and not to be too trusting of attendants who may not have the proper training and experience to do this. This type of procedure is extremely painful, and when done by inexperienced hands, may cause scars for life. And because acne is a cyclical condition, recurring acne imposes recurring painful injections. Custom Derm Packs. The promise of acne’s miracle cure comes in different shapes, sizes, and prices. But do not always think that designer packs that costs Php 10,000 in expensive clinics are great! Expensive acne systems often do not have the backing of massive consumer trial from all over the world, and you end up being a guinea pig. Money does not grow in trees. We work so hard for it. So we do really want to have our money's worth when we buy a certain product. It really is frustrating for me to buy a product that swears that it will do something but doesn't. Sayang ang pera! 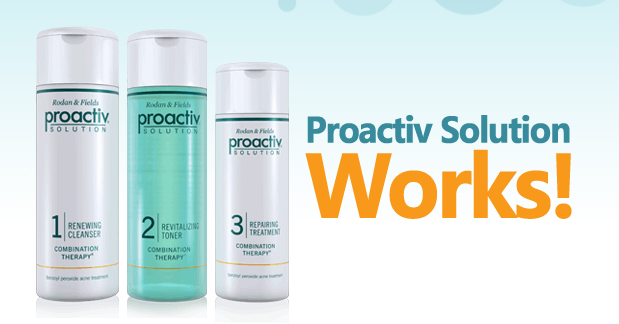 Since Proactiv Solution is the world’s number 1 anti-acne. I HAVE NO WORRIES. Millions of customers worldwide can testify on how effective Proactiv is, including Hollywood superstars. Proactiv even dares you to try it risk free – you get your money back if you’re not happy. I think that's one of the best guarantees a product can give you - a full money back guarantee. Proactive Solution is FDA registered as safe over-the-counter product. And it is available at Watson Stores nationwide, SM Department Stores (Beauty Section) nationwide, Proactiv Mall Kiosks located at The New Glorietta Mall GF, Trinoma Mall 2nd Floor, and Marquee Mall GF. Acne can be annoying. I'm glad there's proactive to help manage them. Yup! I'm looking forward to brighter and clearer skin! Wow you are lucky. At least yours is seasonal. Since we live in a tropical and humid country.. well I believe it just aggravates the oiliness of my face.. :P gahhh. So Proactiv Solution to acne problems is a Godsend. I'm lucky that I didn't have too much acne when I was growing up but I tried also a lot of products for the face. This product is a must try! I had a friend who used the Proactive set and the results were amazing!!! her skin is now so flawless and naturally glowing! Hello Kai, Pro Active is effective but you have to maintain if and use it religiously for more than 3 months . In my case, na try ko yung set pero 1 month lang and yes it does control acne. I haven't tried Proactiv yet, but I've heard positive feedback. Will definitely recommend this to my lil sis who's battling with zits and pimple scars.